Essentially the Coastal Skipper course exists to help fledgling skippers bridge the gap between Day Skipper and Yachtmaster. 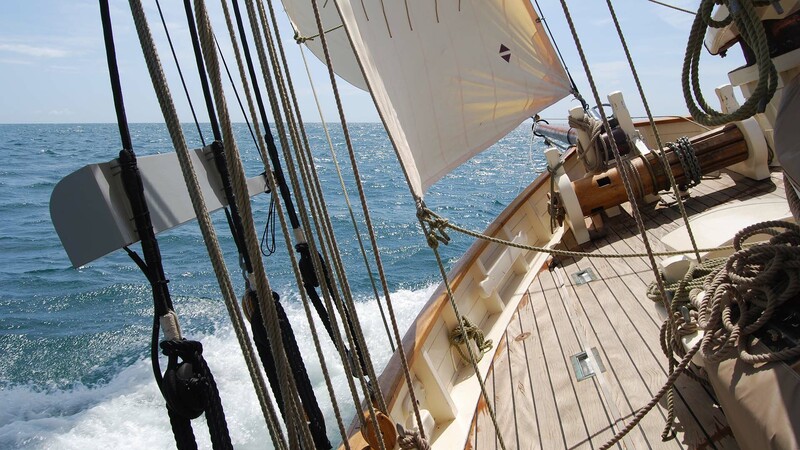 The aim of the course is to teach the skills and techniques necessary to take command of a yacht on longer, coastal passages both by day and by night. Just like the shore-based Coastal Skipper/Yachtmaster develops what has been learned on the Day Skipper theory course; Coastal Skipper takes what has been learned on the Day Skipper Practical, adds a few more tools to the box and then shows how to apply them to safely complete more complex passages. Run in a similar 5-day format to the Day Skipper the course will (weather permitting) provide trainees with the opportunity to experience pilotage and passage-making at night as well as spending more time perfecting their boat-handling under power and sail. There is also an increased focus on passage planning, command of the vessel, meteorology and coping with emergency situations and adverse weather conditions. We’re really looking forward to offering this course on Amelie Rose as we think she’s the perfect boat for the job. Long-keeled with a full forefoot, heavy displacement and a powerful low-aspect rig she’s a fantastic sea-boat – and this course, more than any other in the RYA Syllabus, is about spending time at sea – so they’ll be perfect partners.